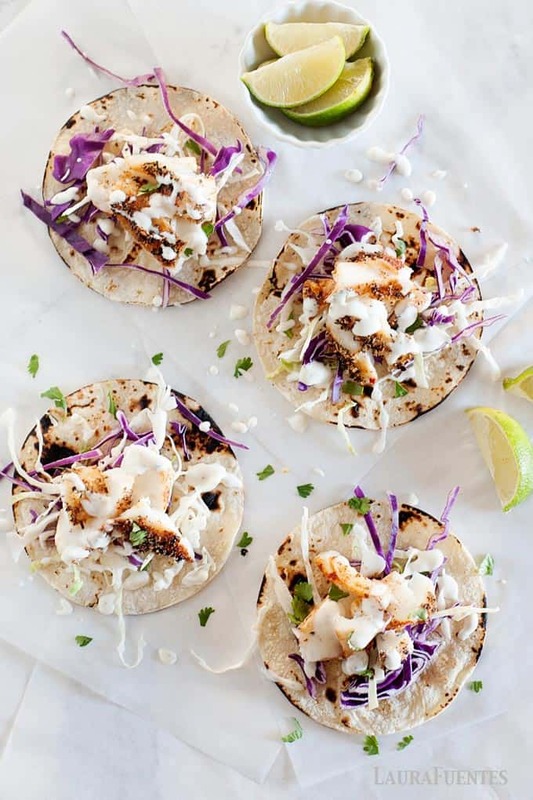 Blackened Fish Tacos with crunchy slaw and a creamy lime dressing… does Taco Tuesday get any better? Oh, yasssss. 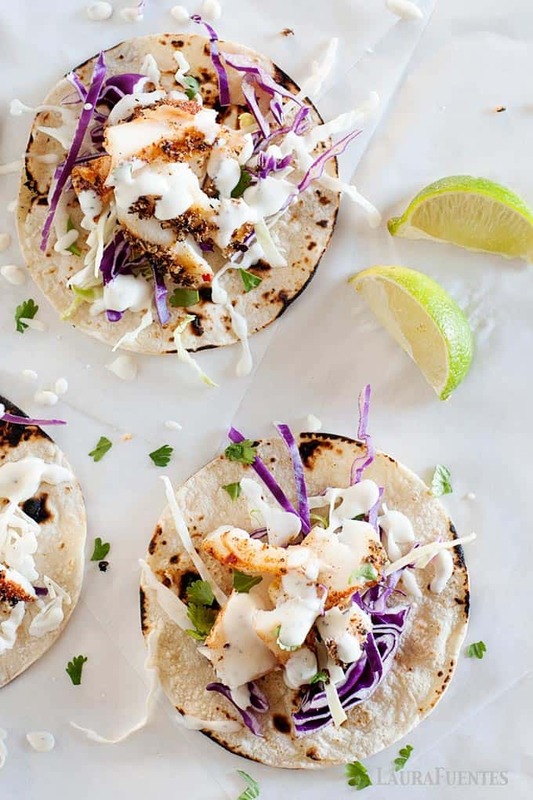 You guys, it’s TIME TO EAT some fish tacos! 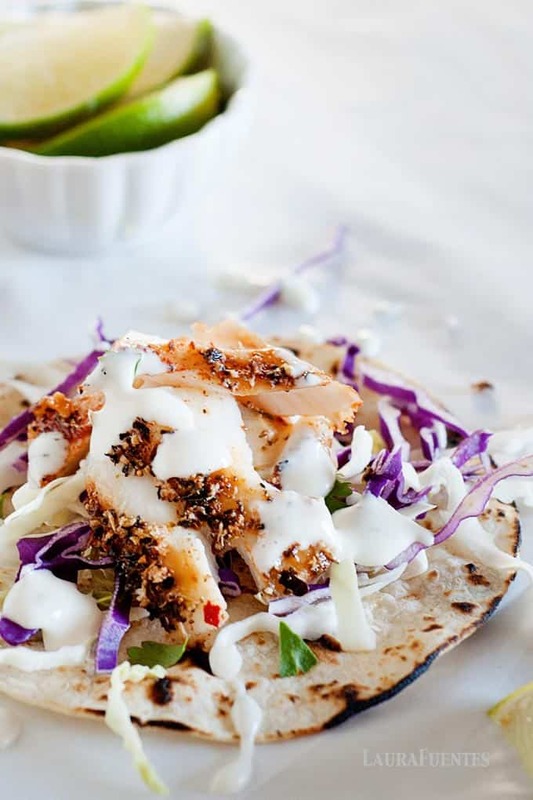 If you need a simple and fast crowd-pleasing taco recipe, then fish tacos are THE way to go. 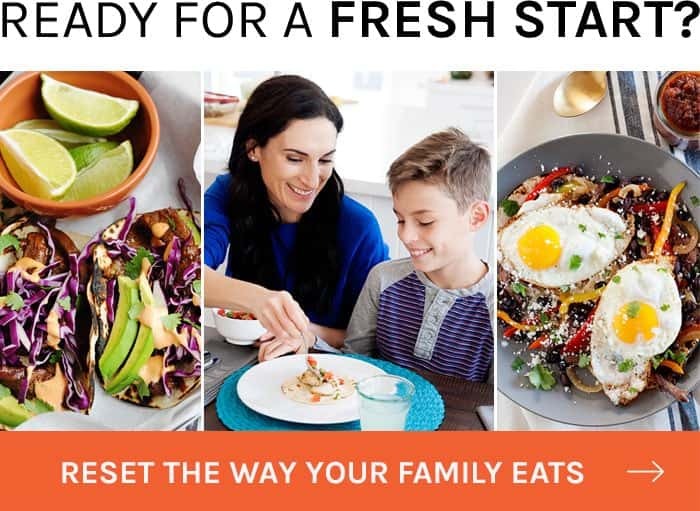 While I love the classic All American Beef Taco, fish tacos are refreshing and always a winner. This recipe has tender baked fish and a satisfying crunchy texture from the slaw. 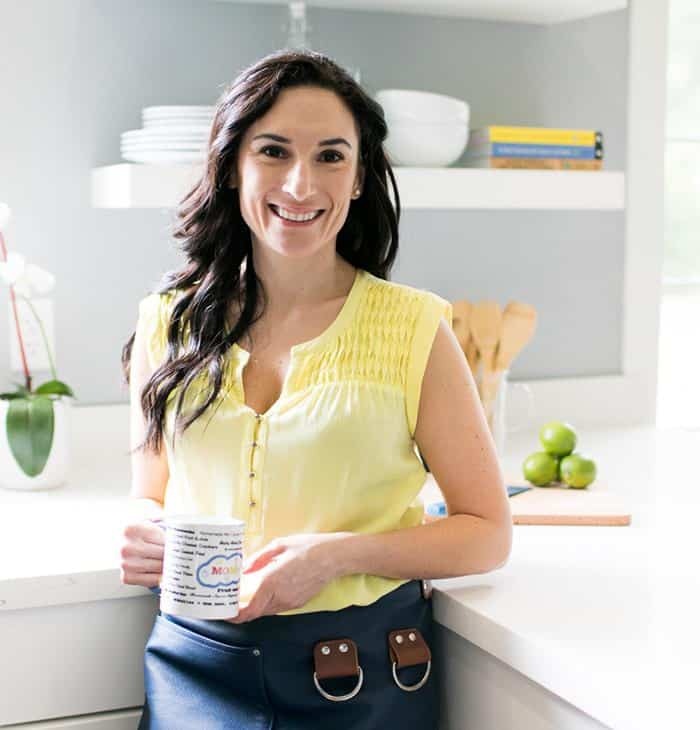 Together, they make an awesome low-carb meal -especially if you swap the tortilla for a lettuce cup! I often do this and it still tastes amazing. There are never leftovers of the fish but if there were, I’d make some pretty epic lunches the next day served over a salad or if you’re not low-carb, make yourself a rice bowl topped with the blackened fish. 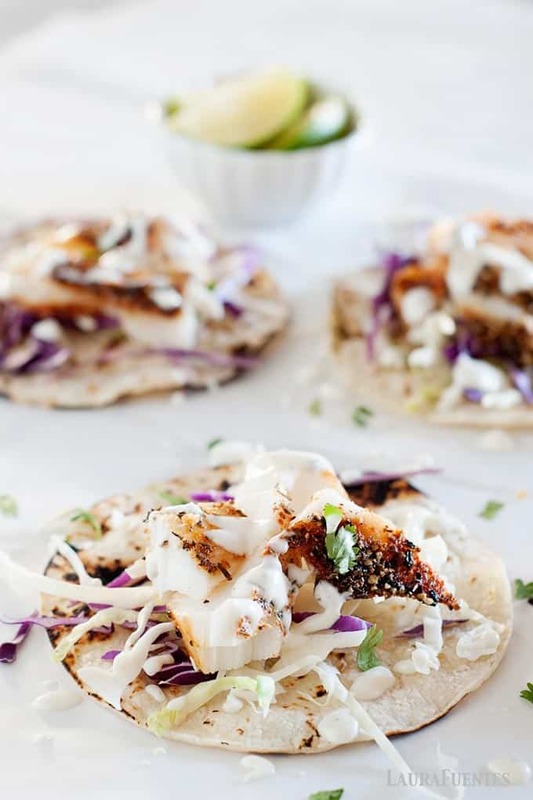 There are a couple ways to make fish tacos when it comes to cooking the fish. 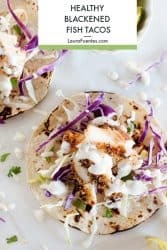 I have a [Grilled Fish tacos]] recipe that’s made fast in the skillet or you can go for oven baked, which is what we’re are doing with this recipe! 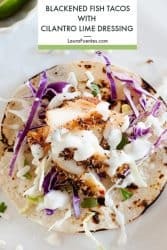 To make awesome fish tacos you’ll also need a crunchy component and a sauce and this recipe has BOTH! Believe me, fish tacos aren’t complete without the two! 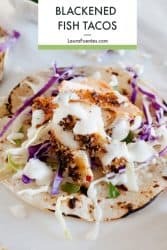 Originally blackened fish coated with spices and seared in a skillet but some nights this momma needs a set of free hands which is how these Blackened Fish Tacos came about! Blackened fish is about two things: the seasoning and the sear on the outside of the fish. You can grab the blackened seasoning I use on Amazon here. It’s the classic New Orleans seasoning many of us have at home down here. A little goes a long way and it’s already salted so you can skip the salt. Then, there’s the sear which we don’t lose in this recipe because you start by preheating the baking sheet. That way, when you place the fish fillets onto the hot pan you can literally hear them sear. That’s when you know it’s about to get good. 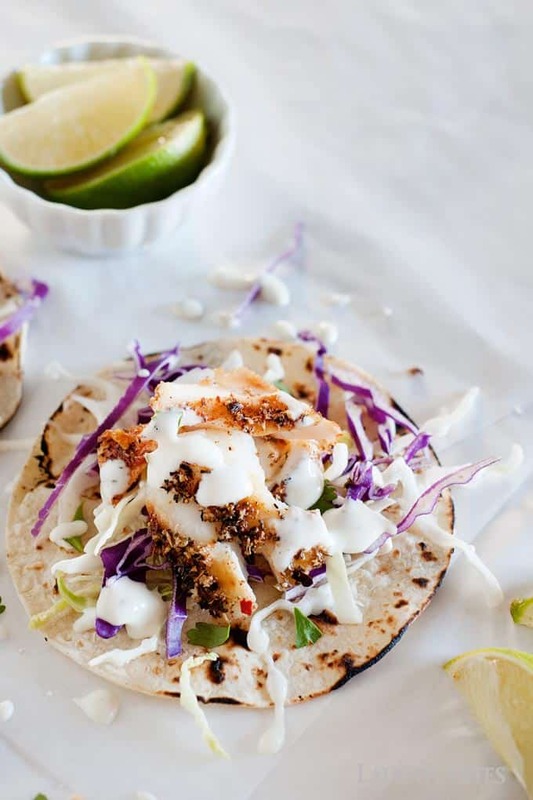 While the fish does it’s thing, you can assemble the rest of the taco party and what’s fish tacos without some type of drizzle? Am I right? And for these bad boys, I’m going with my homemade Cilantro Lime Dressing, it’s tangy, fresh, and perfect on all things tacos! This recipe can be made ahead of time and stored in the refrigerator for 5 days but it never lasts that long when I’m around. I love it on top salads and bowls with grilled chicken and veggies. SO GOOD! 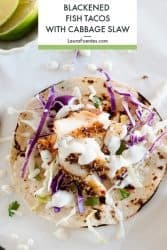 In case you want the rest of your day to look like these Blackened Fish tacos grab a copy of the Taco Tuesday Cookbook and head over to my Youtube channel to keep up with the latest recipe! 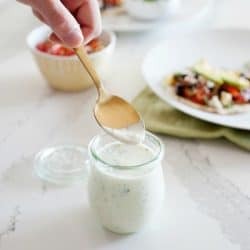 In a blender, blend the sour cream, milk, lime, garlic powder, salt, and pepper. Once combined, add the cilantro and pulse to combine. 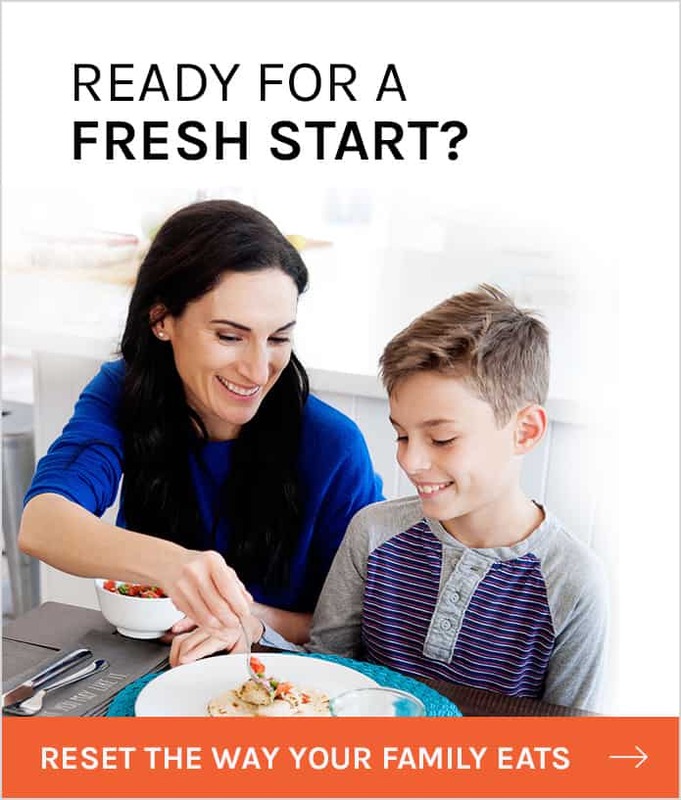 What temp is the oven at for the tilapia? 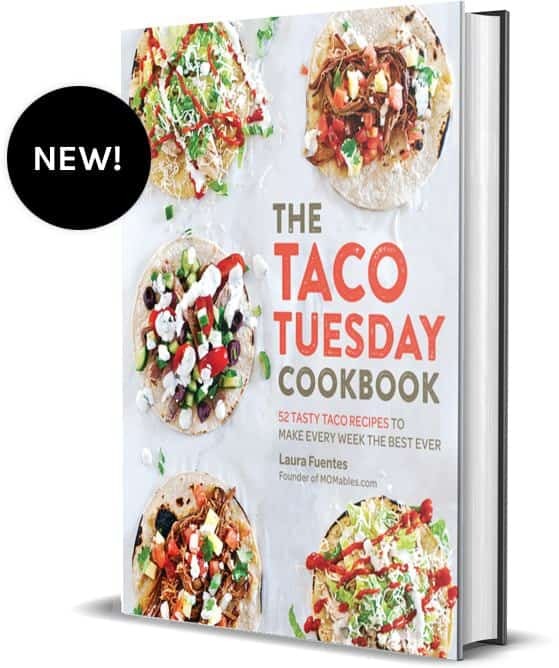 You’ll find the full recipe inside the Taco Tuesday Cookbook. 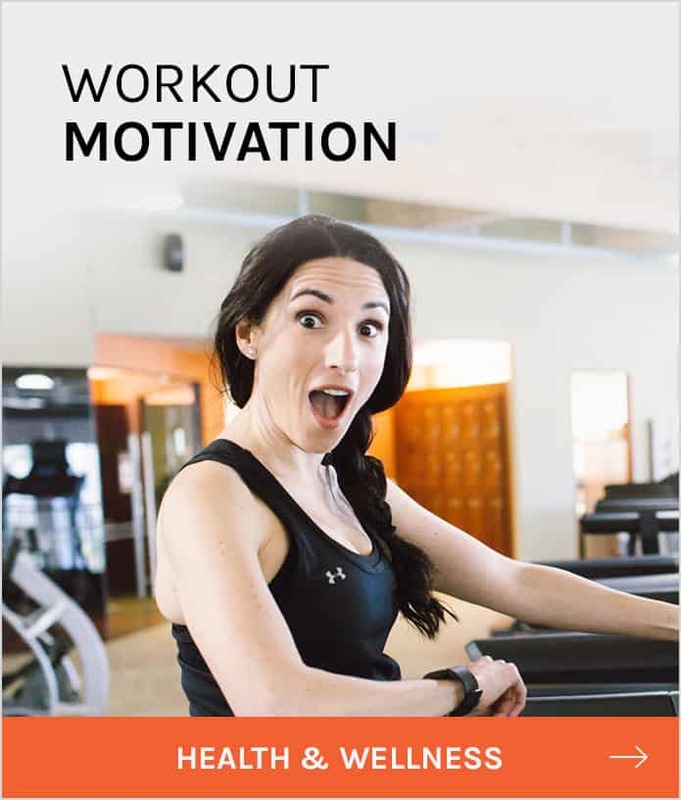 You can, of course broil it or cook it in the oven.